Just another dude on a bike. A couple of weeks ago I relocated to the granite state - New Hampshire. While I will certainly miss the great riding I did while living in North Carolina, I'm finding New Hampshire to be very accommodating to the avid cyclist. There are some great country roads out here and even a really long rail trail. So far the weather has been perfect, but I realize that will change. It is much more hilly here in the mountains than where I was in North Carolina. I have only rode my fixed gear one time since moving here, and that was at the beach. 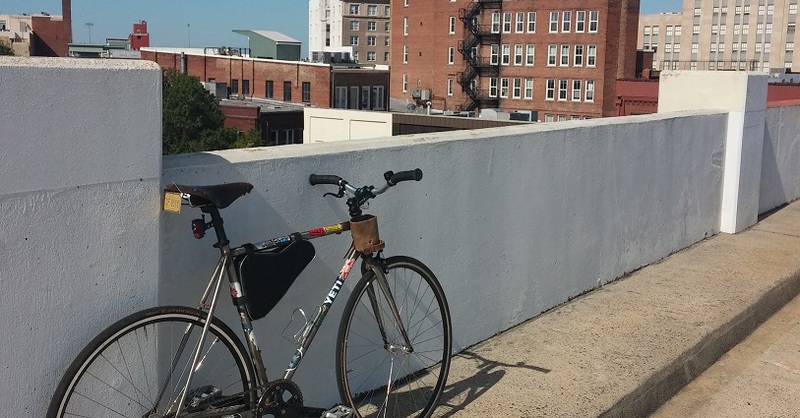 I will miss riding my fixed gear around Raleigh with the great friends I have there. But my trusty Trek 520 is getting the job done without any trouble so far. I've already done a century on the rail trail, a shorter ride on the trail, a beach ride with my lovely gal, and completed the upper valley trails loop. It's exciting to find yourself in a brand new place with new rides and routes to enjoy. The scenic mountains, rivers, and lakes don't hurt either. I'll try to document the best rides and routes I find here in future posts, so check back soon. Another cool thing about the northeast is that several states can be reached in a relatively short drive. So it will be nice to check a few more states off the list of states I've rode in. I typically work on weekends so I get to go for rides when no one else is out. It is kind of nice because you have less traffic on the roads, less cyclists on trails, and parks tend to be empty. Check back later for more posts detailing some great rides in New Hampshire and other places. I've been into bikes for a very long time. It all started with BMX as a kid and then mountain biking as an adult. Then came fixed gear. But mostly I've been enjoying my Trek 520 these days. Island Line Rail Trail - You Gotta Do it!